Plug the cable in and start surfing. 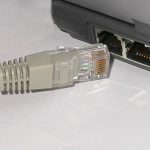 Does your PC has a network connector? Do you have a network cable? no, get a network cable. Connect the cable to the network socket. If there are two it is in most cases the left one. If the left is not working try the other one as long as there is no other cable already plugged in. 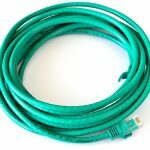 Connect the other end of your network cable to your computer. 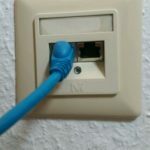 Does your computer establish a internet connection? No, try the other socket described under point 4. If you still don’t have an internet connection check your network settings and try again afterwards.